My name is Grace and I love to read, sort through my rock collection, play piano, and fish. 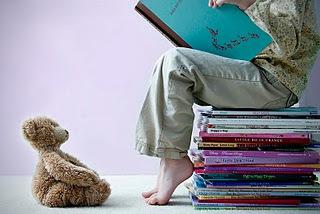 My favorite book series are Harry Potter, Fablehaven, Ranger's Apprentice, Artemis Fowl, Wings, The Circle Opens, Immortals, and The Crossing of Indigo. The Shifter is an immortal creature bound by an ancient spell to protect the kings of Samorna. When the realm is peaceful, she retreats to the Mistwood. But when she is needed she always comes. Isabel remembers nothing. Nothing before the prince rode into her forest to take her back to the castle. Nothing about who she is supposed to be, or the powers she is supposed to have. Prince Rokan needs Isabel to be his Shifter. He needs her ability to shift to animal form, to wind, to mist. He needs her lethal speed and superhuman strength. And he needs her loyalty—because without it, she may be his greatest threat. Isabel knows that her prince is lying to her, but she can't help wanting to protect him from the dangers and intrigues of the court... until a deadly truth shatters the bond between them. Now Isabel faces a choice that threatens her loyalty, her heart... and everything she thought she knew. Mistwood is its own adventure; it's mysterious, romantic, and magical. If you're looking for an adventure then this is the book to read. A challenge for protection? Or is it a challenge for power? Isabella is a legend, guard, and shifter. The king is in need of protection, but is he the rightful king? 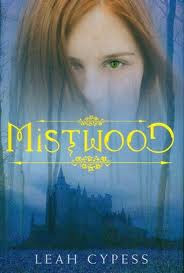 Thank you Grace for your hard work in reviewing Mistwood! It sounds like an a great adventure!